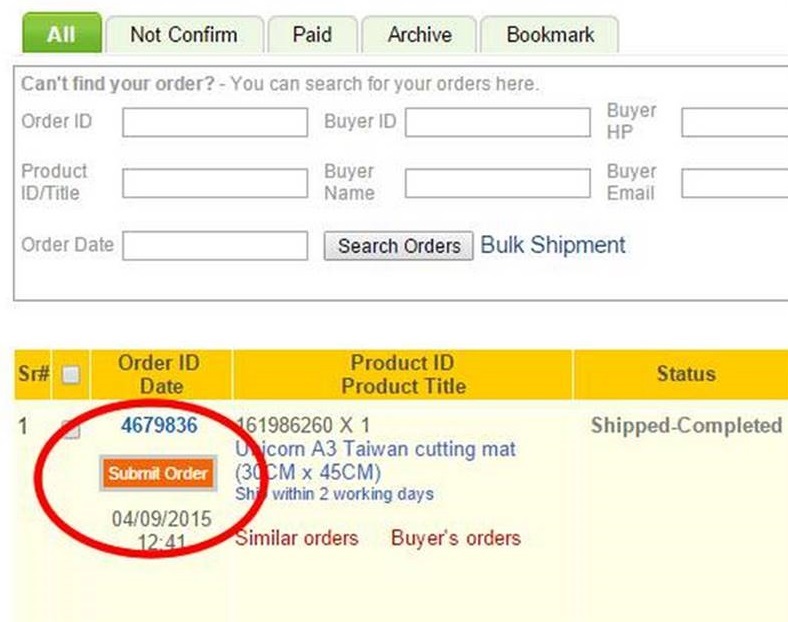 For API sellers, the system will automatically send order information (for Paid orders only) to the seller. But after some attempts, and the system still fails to send the order to the seller’s system, the “Submit Order Button” will show up. The seller can click on this button and try to submit the order to their system to see if there is any error message returned from their system. Seller can mouse-hover the Submit Order button to see the error prompt.